Our Garden Cafe near Harrow is the talk of the town, especially since we have opened it up after a facelift. 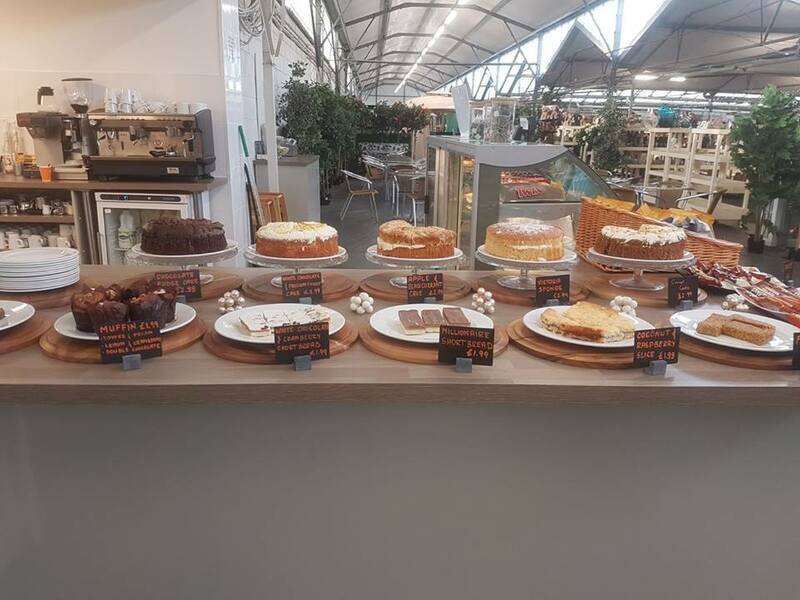 When you visit the Birchen Grove Garden Centre next, you should slip into the Garden Cafe and have the best cup of tea you will have had in a while. Our homemade cakes baked with ingredients either grown in our premises or bought from local farms and a variety of teas will surely give you an afternoon to remember. Tea & Coffee: Ever the favourite afternoon drink of the English, tea has a special place in our Garden Cafe near Harrow. We make it with deference and serve it with elegance. There are many flavours to go for and you will find whether you choose the traditional English cream tea or one of our more vivid flavours, you will like them all. As for coffee, we have a great coffee maker that can give you a steaming mug of your favourite kind. Confectionery: Starting with cakes, which you will find available in many traditional and popular flavours, from chocolate to strawberry cheese and more, we have Panini’s, toasties, sandwiches, and an assortment of biscuits to go with your coffee or tea. Meals: Our menu has complete meals for breakfast and lunch with a small bites section if you want something more than a piece of cake or a few biscuits with your afternoon tea. Our meals menu contains traditional English breakfasts and options for lunch. From eggs to ham, steaks, and more. Our Garden Cafe near Harrow is quite different from the rest of our premises in terms of elegance of presentation. While the garden centre is gritty and smells of fertiliser, the tea room is the opposite. It looks exquisitely decorated with plants, traditional furniture, and various displays of mouth-watering recipes. While the staff in our garden centre have dirty hands thanks to their constant contact with the soil and plants (Of which they are never ashamed) the team in the Garden Cafe displays the cleanest outfits and moisturised hands. However, the smile you come across in both settings will be genuine and the suggestions sincere. Our Garden Cafe near Harrow has to be the best in town. It has the best menu, the friendliest team of attending staff who know what they are doing, the most elegant though minimalistic decorations, the most competitive prices, and the best guests, of course. You can book the Garden Cafe for birthday parties, small weddings, and other celebrations with a week’s notice by calling the restaurant manager during our business hours. Swing by the Garden Cafe near Harrow with a friend for a nice cup of tea this week or browse through the garden centre for a great range of indoor plants, outdoor plants, gardening tools, garden furniture and barbeques.